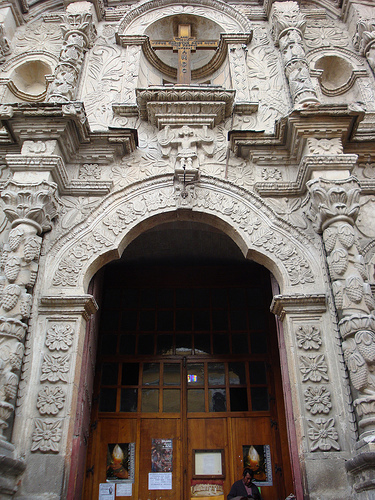 Originally designed by Sigüenza in the year 1609 its façade was completed in the baroque style from hand-carved stone in 1760. It has elaborate stone columns decorated with clusters of grapes. 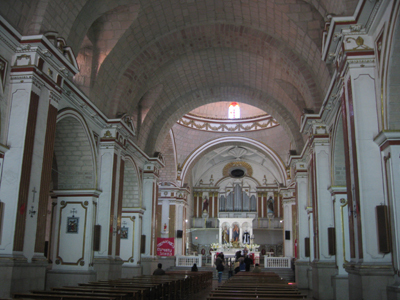 In the central nave there is a stained glass window decorated with papagayos, papayas, and classic elements from the mestizo baroque school of art. 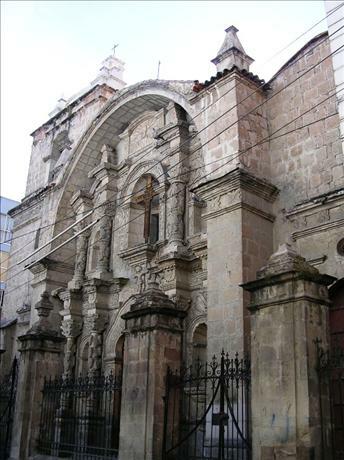 The main floor of the church has 3 large sections in the neoclassical style and a private capilla in the arabesque style.